Paint Colors :: MANUFACTURERS :: MODERN MASTERS :: Metallic Paint Collection :: MODERN MASTERS METALLIC PAINT 66201 ME-662 MASTER CLEAR SEMI GLOSS SIZE:1 GALLON. 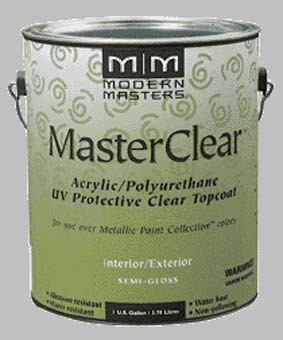 MODERN MASTERS METALLIC PAINT 66201 ME-662 MASTER CLEAR SEMI GLOSS SIZE:1 GALLON. MAJIC 39084 8-1508 DIAMONDHARD ACRYLIC ENAMEL LIGHT YELLOW GLOSS SIZE:1/2 PINT. WHIZZ 51600 PINK VELOUR SIZE:4" WITH 11" HANDLE PACK:10 PCS. MINWAX 13021 SEMI GLOSS POLYURETHANE FOR FLOORS 441 VOC SIZE:1 GALLON. ENCORE 41000 QUART AND PINT LID FITS 41032 CONTAINER PACK:100 PCS. SHURTAPE 00149 100263 CP66 24MM X 55M PROFESSIONAL GRADE MASKING TAPE BULK PACK:36 PCS. CABOT STAIN 16244 250 VOC COMPLIANT SILVER GRAY WEATHERING STAIN SIZE:! GALLON. WOOSTER 4412 CHINEX FTP FLAT SASH BRUSH SIZE:2" PACK:6 PCS.